Straight Construction is an industry leader of cast-in-place concrete construction. We have the knowledge, experience, and equipment to construct quality poured wall foundations. 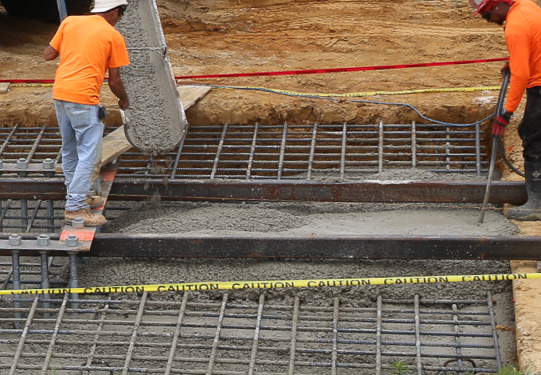 We specialize in high volume concrete placement and finishing for commercial and industrial concrete slabs. We have the capabilities for excavation, footings, curb and gutter, commercial paving. Straight Construction Inc. has been operated in cast-in-place and reinforced concrete construction since 1980. Our company’s experience extends in all areas of commercial, retail and government construction. Our experience provides projects with quality, efficiency while focusing on professionalism and safety.